Backbone of the Mapping Festival, the exhibition at the Commun (BAC) unfolds from Thursday, April 28 to May 8. 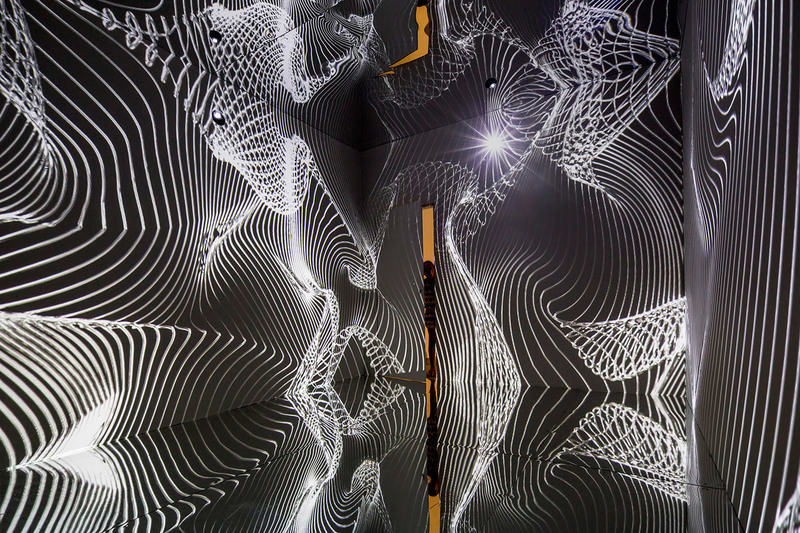 This year, the five installations created by Martin Messier, Refik Anadol, Lawrence & Vincent Malstaf, Kimchi and Chips and Néstor Lizalde are primarily articulated around the concept of immersion. On the ground floor, the public can buy tickets and Pass at the festival’s main ticket office, discover the many goodies available at the merchandising booth, take part in various panels, conferences and masterclasses, and get programs and information at the welcome spot.